Get well soon michael! I do hope he can recover as fast as possible! if any man can do it its going to be Michael! may the FORZA FERRARI BE WITH YOU!!!!! My best wishes for our champion. Nothing else..
Just hope all is going ok,and have good news tomorrow morning. No news is good news. Apparently we are going to have to wait a few days to see any type of improvement. 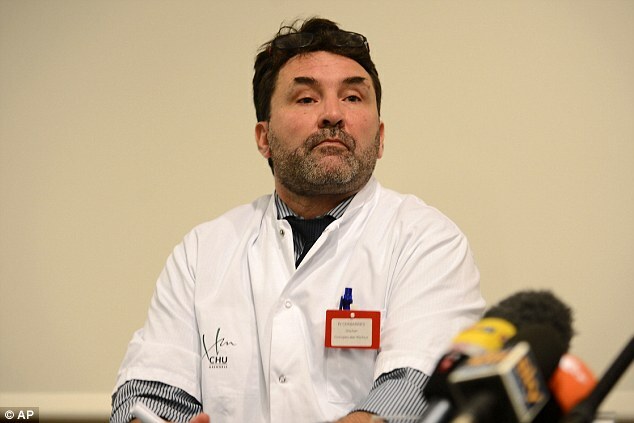 I am quite optimisctic as he is in good hands and his condition has remained unchanged for more than 24 hours. As a father myself, I can only hope that he gets to enjoy many years to come with his family. Following Michael's sking accident, we would like to thank the people from all around the world who have expressed their sympathy and sent their best wishes for his recovery. They are giving us great support. Wir möchten an dieser Stelle ausdrücklich den Menschen aus der ganzen Welt danken, die uns nach Michaels Skiunfall ihre Sympathie geschenkt und uns ihre besten Genesungswünsche geschickt haben. Das ist für uns eine tolle Unterstützung. Gracias por vuestro apoyo con motivo del accidente de esquí de Michael, nos gustaría agradecer a toda la gente de todo el mundo que ha expresado su simpatía y sus mejores deseos para su recuperación. Nos están dando un gran apoyo. All the very best wishes Schuey! Oh no. Did not notice this until just now. Michael, my childhood hero - I am praying for you to pull through! Win this one you legend! i can see why he takes more risks now than he did when in F1 michael had super contracts, which im sure meant he couldnt do anything that could get him injured. And who knows which heights those demands were? Since he retired it was his hallpass, take some risks and so on. Really hope it all goes well from now on. 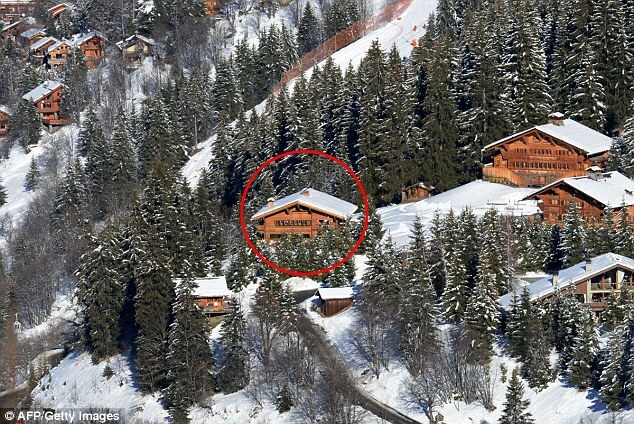 This is the spot where Formula One legend Michael Schumacher is believed to have suffered a horrific fall while skiing off-piste. 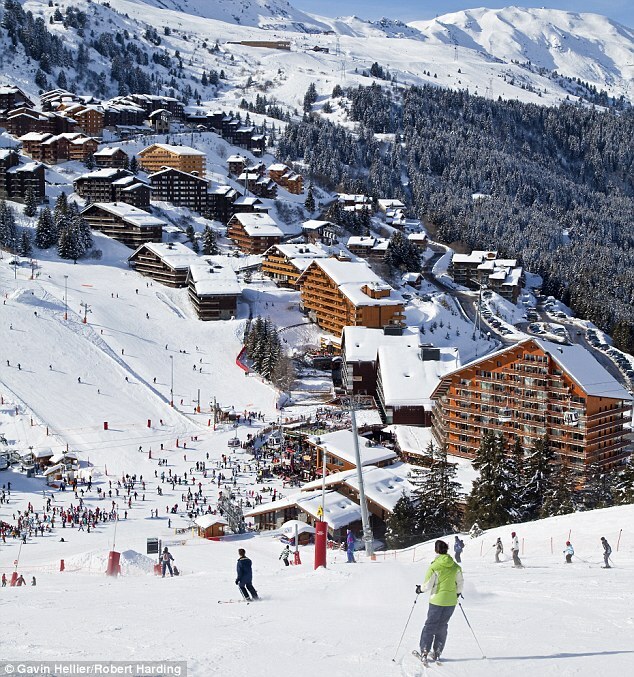 The 44-year-old is still 'fighting for his life' and remains in a coma after the accident, which happened in the French resort of Meribel on Sunday. 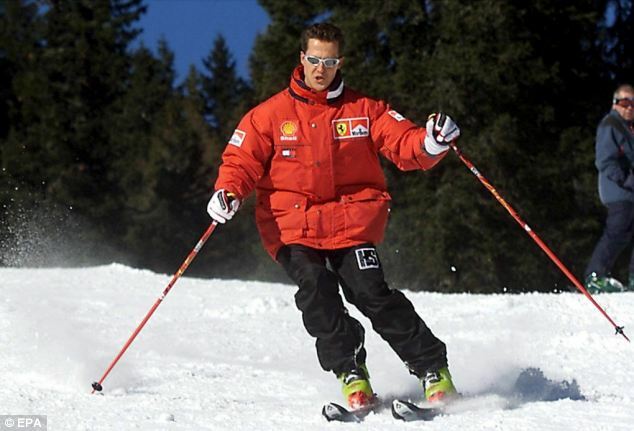 Eyewitness say Schumacher hit his head on one of the many rocks in the off-piste area - causing him to briefly lose consciousness. 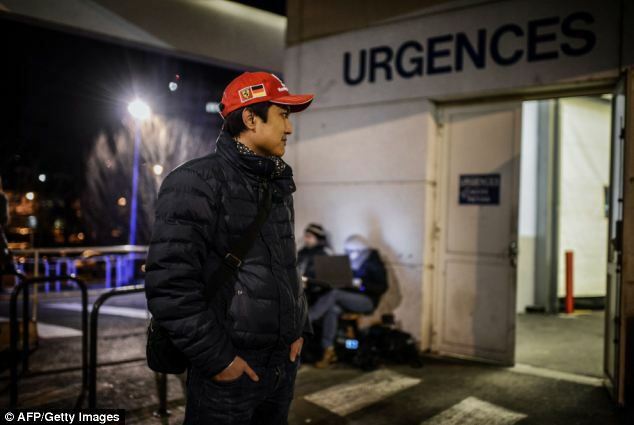 Brain surgeons battled throughout the night to save the retired racing driver's life, said his anaesthetist Jean-Francois Payen, who added: 'We are working hour by hour'. He also revealed that Schumacher might not have survived the 'high-speed' fall if he had not been wearing a helmet. 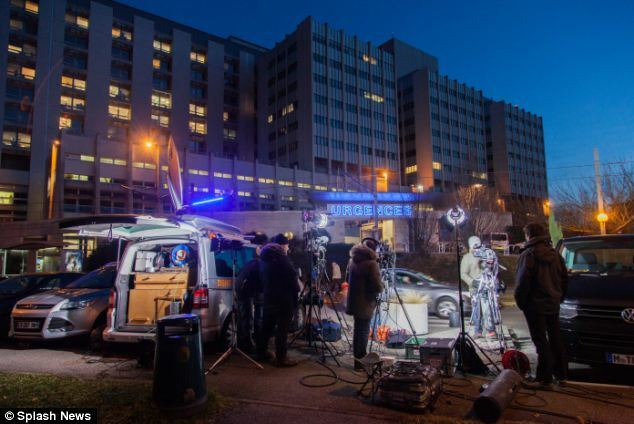 Speaking at a press conference at the Grenoble Hospital, in eastern France, Mr Payen said: 'We judge him to be in a very serious situation. We cannot predict the future for Michael Schumacher. 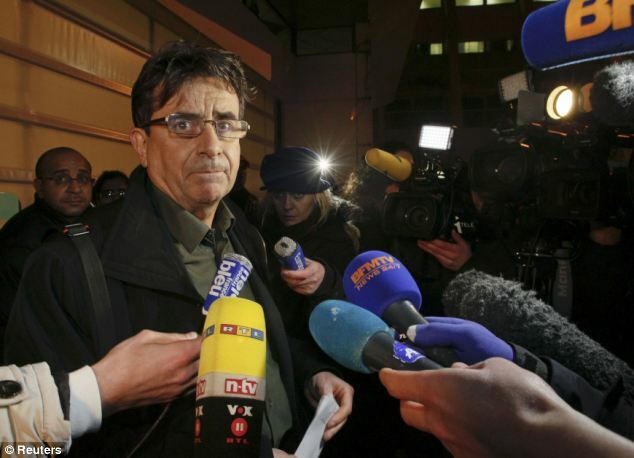 'It's too early to say what is going to happen and to have a prognosis. Taking into consideration the very violent shock, his helmet did protect him to a certain extent, of course. 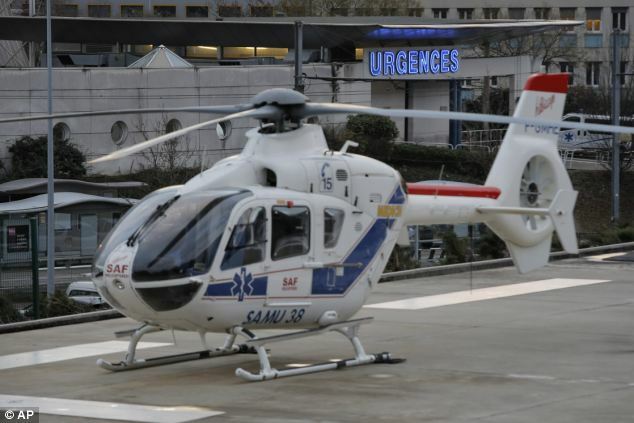 Professor Stephan Chabardes, the neurosurgeon who operated on the F1 star, told the news conference: 'Mr Schumacher was taken by helicopter very quickly to Grenoble Hospital. 'On his arrival we examined him clinically and we realised he was in a serious condition, in a coma, with in fact cranial pressure. 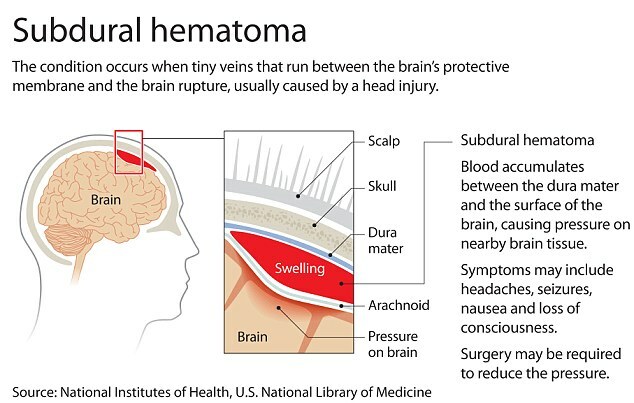 'The brain scan showed a number of pieces of information, some intercranial haematoma (internal bleeding) but also some cerebral contusions (bruising of the brain tissue) and oedema (build-up of fluid). 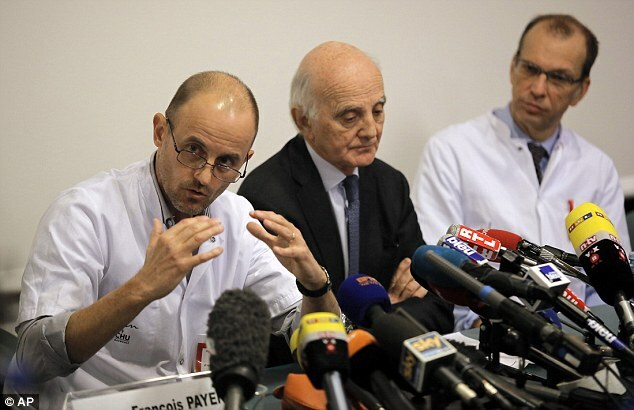 'We operated urgently to try to eliminate the haematoma. After the operation we saw that we had been able to eliminate these haematoma but also sadly the appearance of various bilateral lesions. 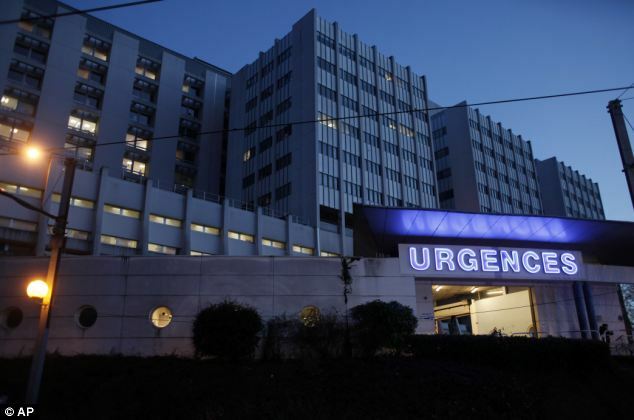 Prof Payen said the hospital did not intend to carry out a second operation, adding: 'We don't feel it is necessary at the moment. Meanwhile, Schumacher's spokeswoman Sabine Kehm released a statement on behalf of the family, who are holding a vigil at his bedside. 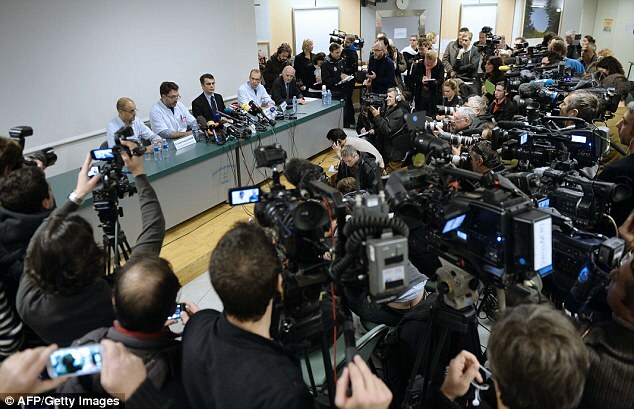 It said: 'We would like to thank the medical team who we know do everything possible to help Michael. 'We would like to also thank the people from all around the world who have expressed their sympathy and sent their best wishes for Michael's recovery. 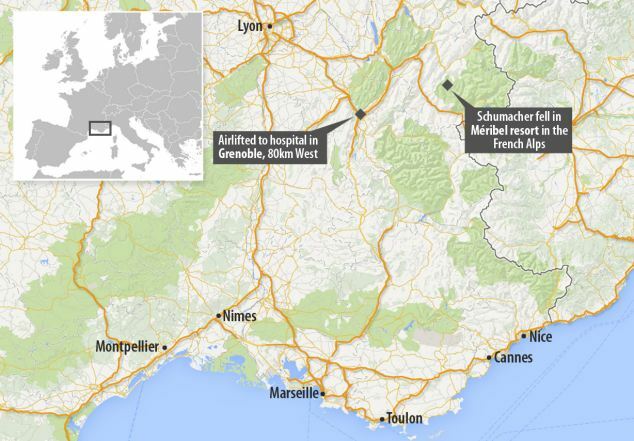 Schumacher's injuries have caused shockwaves across the world - particularly in his native Germany. Fellow German-born sports star Boris Becker called on Twitter for prayers for a 'full and speedy recovery' for the F1 champion. German chancellor Angela Merkel said she was 'extremely shocked along with millions of Germans' to learn of the accident. 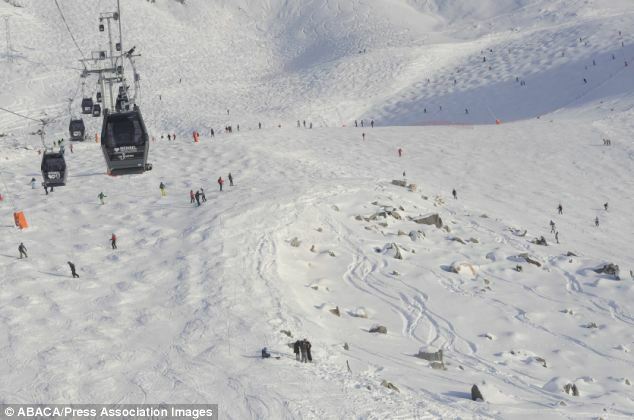 Schumacher fell while skiing off-piste with his son in Meribel in the French Alps on Sunday morning and hit the right side of his head on a rock. Resort managers said was conscious when rescuers first responded to the scene. 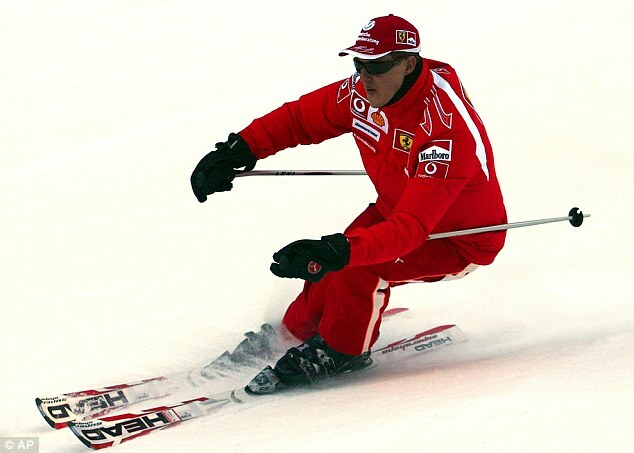 The Meribel resort initially said Schumacher had been taken to Grenoble for tests and authorities said his life was not in danger. 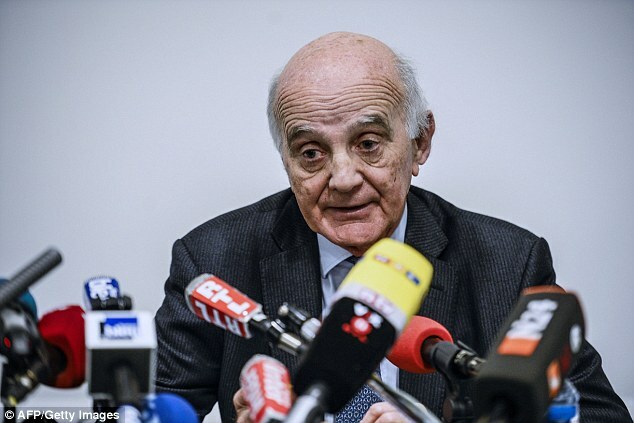 But the situation began to appear more serious when Professor Gerard Saillant, a brain and spinal injury expert who is also president of the International Automobile Federation (FIA) Institute, had travelled from Paris to the hospital to examine him. 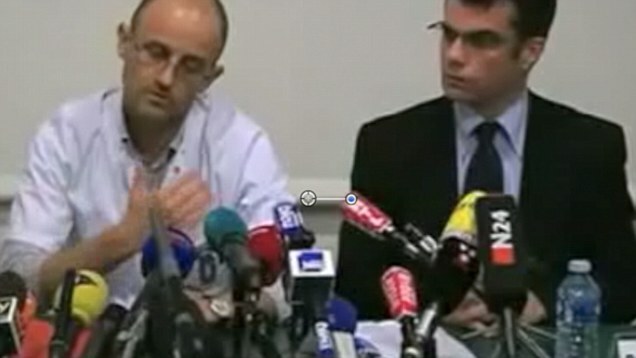 Saillant told the news conference he was there as 'a friend' not as a doctor and gave no further details on his condition. German news agency dpa said it was Saillant who operated on Schumacher when he broke his leg during a crash at the Silverstone race course in 1999. 'We ask for understanding that we cannot give running updates on his condition. He wore a helmet and was not alone,' Kehm said. 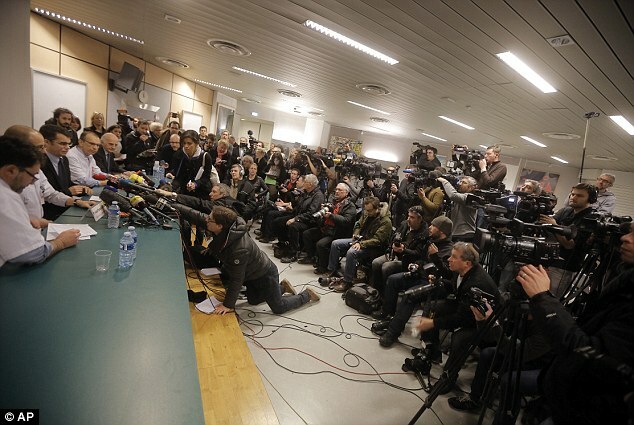 Schumacher's 14-year-old son Mick was skiing with his father when the accident happened, the resort said. 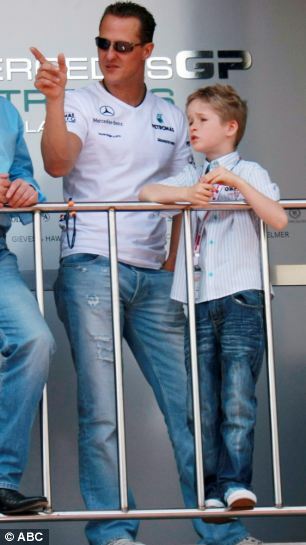 ESPN F1 reported that Schumacher's wife Corinna and children were at the hospital, along with Jean Todt, his former Ferrari team boss and now president of motorsport's governing body, the FIA. Ross Brawn, who worked with Schumacher at Ferrari and Mercedes F1 teams, was reportedly also at the hospital, where a gathering of media and fans was swelling. Eyewitnesses said they saw blood oozing from his helmet in the eight minutes between the fall and medics arriving in a helicopter to pick him up. 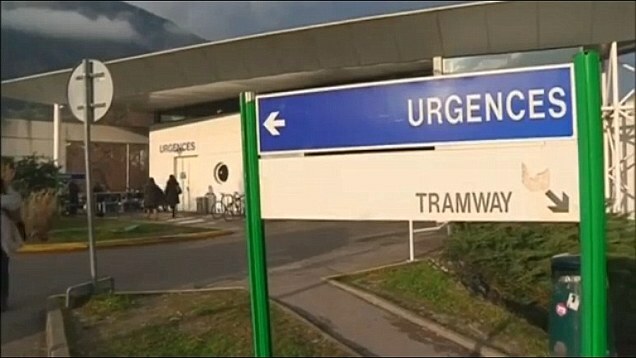 The accident happened while Schumacher was skiing off-piste. 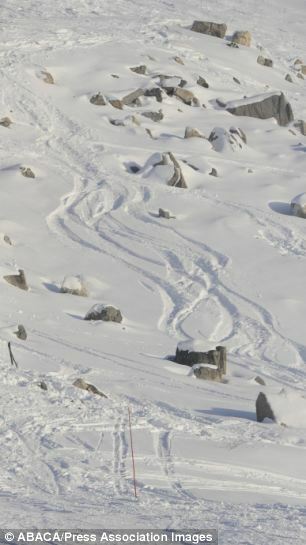 Yesterday a spokesman for the resort said it proved 'you can't do whatever you want', and that skiers should stay on the pistes. Horrible horrible news, I pray for you and your family, Michael! I've been in a state of shock since I first heard the news yesterday. I made a cover photo for my FB profile, but feel free to reuse if you like. The vice president of the Horse is glued to the TV: "A fun skiing can not become a drama"
I know everyone on this site is pulling for Schumi. I just don't understand why he is taking such risks! Breaking his neck four years ago racing motorbikes, now this. I hope makes a full recovery and re-evaluates his approach. Not really time to bring that up, but its his life, he enjoys living it and being with his family, who are we to say otherwise. Any different to Kimi racing on snowmobiles? My thoughts are with him and his family. Get well soon Michael! Kimi is not getting hurt all the time, he must have better control! Nice cover photo! 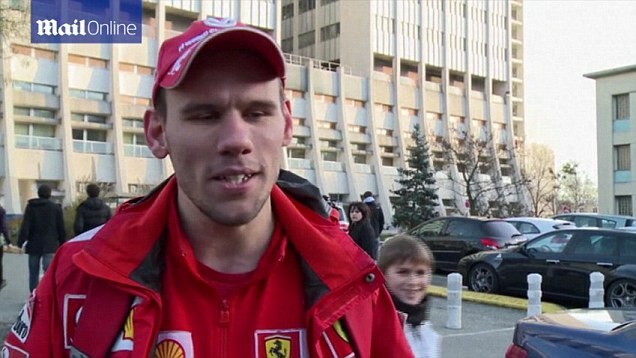 These times are so hard for us tifosi. It reminds me of what we have been through before with Felipe. Keep fighting Michael! Oh dear....point scoring takes an all time low, you disgust me.